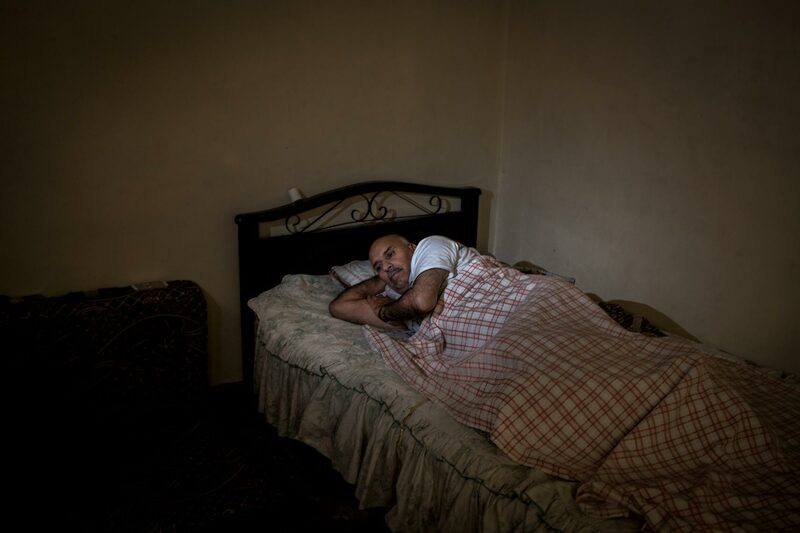 Ali, 54, lies in a bed in Zahle, Lebanon. Shelling and shooting in Awar, Syria, in April 2013 left him paralyzed from the waist down. His lack of movement has resulted in bedsores and he needs additional care.